Take it from a veteran of a dozen or so Mount David Summits. After attending the summit, Bates’ dazzling showcase of student academic achievement, you’ll feel both smarter after learning more about the world — and a just a bit dumber than the Bates students you just heard, met, and saw in Pettengill Hall and elsewhere on campus. The summit, featuring original research, arts exhibition, and panel sessions that impart knowledge, information, and context on local and global topics, kicks off on April 1 at 1:30 p.m. with a ceremony in Pettengill Hall’s Perry Atrium followed by concurrent sessions in Pettengill throughout the afternoon. It’s open to all: alumni, parents, friends, and visitors. Some 380 students will participate, and judging from the abstracts we’ve seen, they’re set to explain topics from biomarkers for breast cancer to the environmental health of Lake Auburn; from women in politics in Rwanda to drawing and literacy in early childhood education; and from the role of memory in the rise of Vladimir Putin to stereotypes of Muslims in American television. 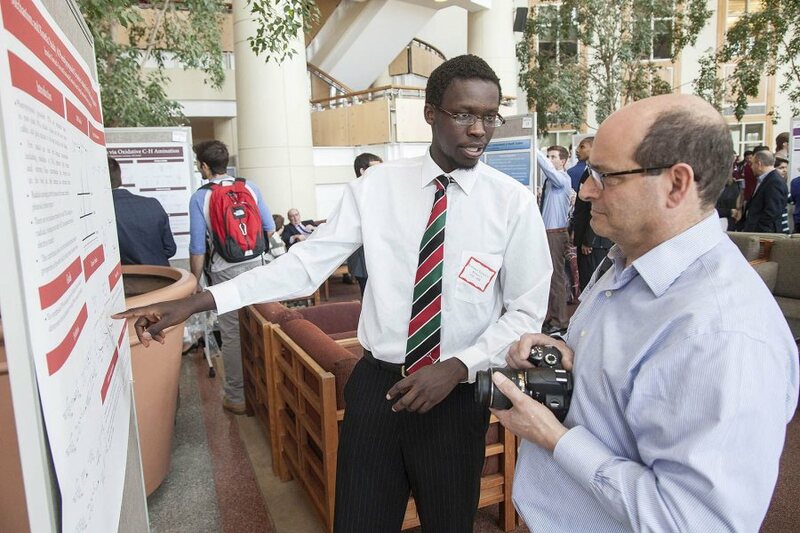 “Presenting one’s work is among the most important learning experiences for students who participate in the summit,” says Matt Auer, vice president for academic affairs and dean of the faculty. As always, the summit will culminate in evening arts events, including a viola recital by So Hee Ki, a senior music major from Irvine, Calif., and the first of four performances of the Bates Dance Company’s Spring Concert.